The leaves in the forests have splashed their colour about, days are nippy, and Autumn is well underway. 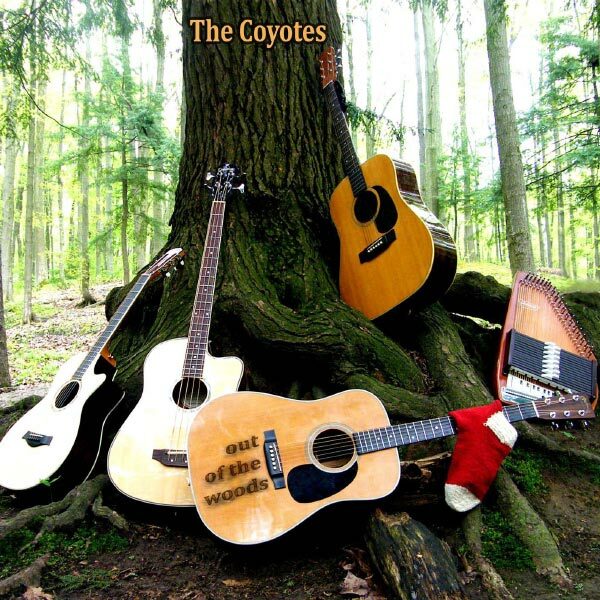 The Coyotes have released their new CD!!! Well, it's out there! 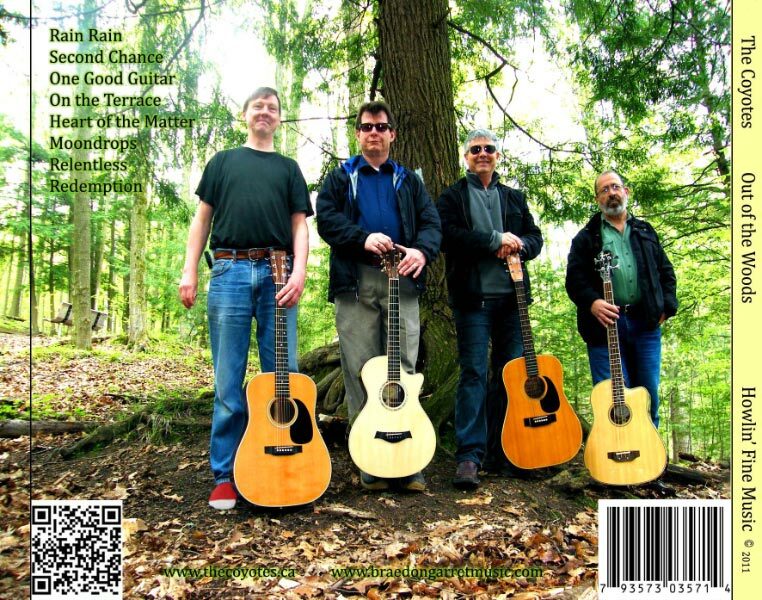 Our new CD "Out Of The Woods" has been released and is available online at CD Baby and will soon be available at Amazon and iTunes. 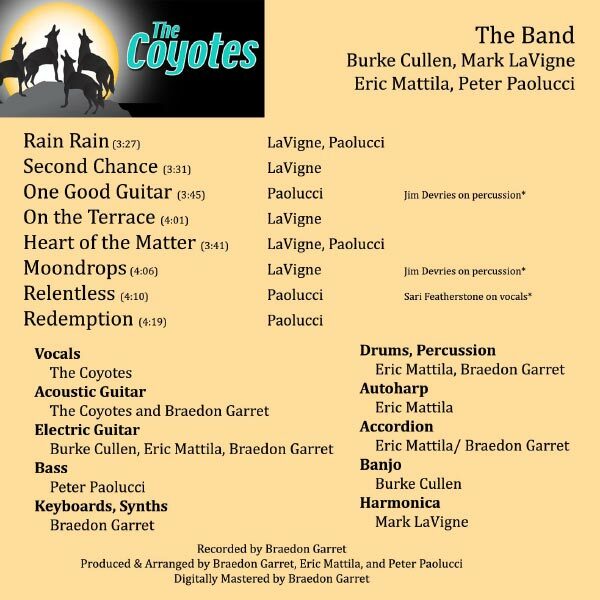 The recordings were made in 2011 at Braedon Garret's studio in Aurora and were produced and arranged by Braedon Garret, Eric Mattila and Peter Paolucci. We had the privilege of having Sari Featherstone contribute her angelic voice in “Relentless”. We are also very grateful for Jim Devries’ contribution to drumming and percussion, and his creative influence from his many years of experience. Braedon Garret contributed a wealth of musical and production ideas, as well as helping with instrumentation. His sense of humour, and required patience, fit well with the somewhat unique experience of working with The Coyotes... Thank you Braedon! For those who would like a lot more details on the songs themselves, lyrics, recording minutiae and trivia for each song, take a look here.